A good few weeks ago we were contacted by Waitrose and asked to take part in their Ice Cream Dreams challenge. They sent us a link to their Amazing Ice Cream Recipes for inspiration and asked us to come up with some ideas with the children to create our own unique dream ice cream! I was first up Now I LOVE raspberry ripple and I LOVE biscuits so I wanted to create something perfect for me. 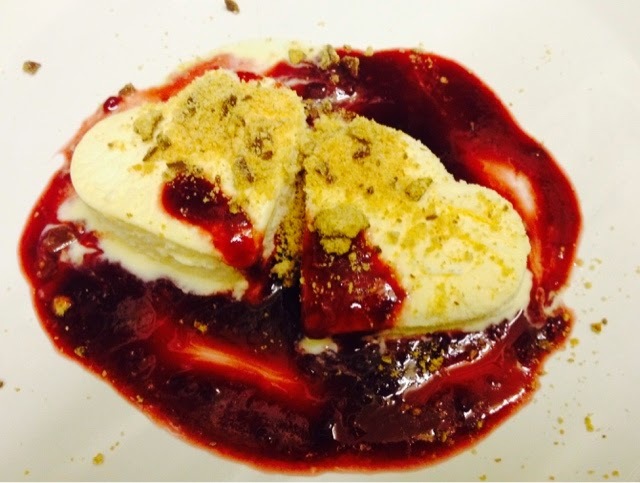 I poured some delicious Rowse Raspberry Coulis on to a plate as a base and using Waitrose Cornish Ice Cream as a base I used cookie cutters to serve two heart shaped ice creams on to the plate. To finish I crushed some digestive biscuits and sprinkled them over the top. It was absolutely delicious and would make a nice simple dessert after a romantic dinner. Little E's loves animals so she decided to create a frog using grapes and chocolate chips. This is a great way of getting fruit in to fussy little ones as it involves them in making the dessert and they often try new things. 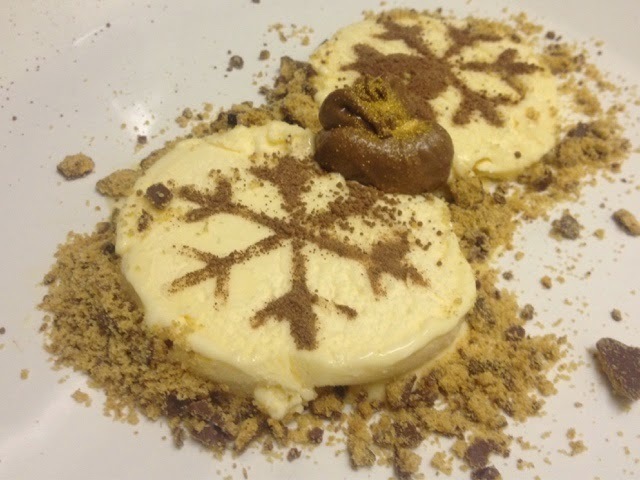 Chris went for a Winter inspired desert making a snowflake Vanilla and Chocolate Crumble ice cream with warm chocolate and gold fondant. He used Waitrose Gold Sparkle Dust mixed with melted chocolate which tasted amazing. He did steal my crushed biscuit idea though! 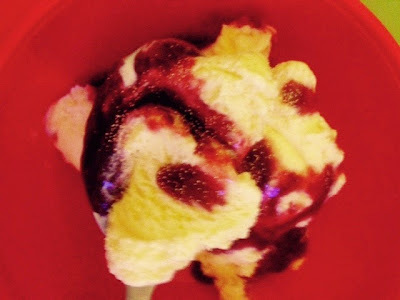 Finally Mister A got involved, although he was more interested in getting back to Minecraft so he just plonked a dollop of ice cream in to his bowl with some raspberry sauce. When I asked if he was going to decorate it he shook some gold dust on to it and ran off. It's spectacular isn't it!! Why don't you head over to Waitrose and get some inspiration of your own. I think we'll be trying out Heston's Ice Cream Sandwich with fresh raspberry dipping sauce next! We'd love you to share your ice cream dreams with us! Disclosure: We were given Waitrose vouchers to buy the products used in this feature.